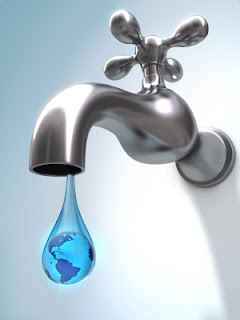 Water conservation has become an important practice in all regions across the world, even where water seems abundant. In addition to saving money on your utility bill, water conservation helps prevent water pollution in nearby lakes, rivers and local watersheds. Call GreenTeam Plumbing today to do your part with one or more of these tips! Check your toilets for leaks! Put a little bit of food coloring in your tank. If within 30 minutes, without flushing, the color appears in your bowl, you have a leak which should be repaired immediately! Speaking of toilets...did you know that the average toilet uses 7,000 gallons of water per year?! Switching to a more efficient toilet can save you up to 5,000 gallons per year! After checking your toilet, check faucets and pipes for leaks. A small drip from a worn washer can waste up to 20 gallons of water per day! Having a water saving shower head installed is a great way to cut your water usage in half each time you shower! Call GreenTeam today and we can help make your home or office green!